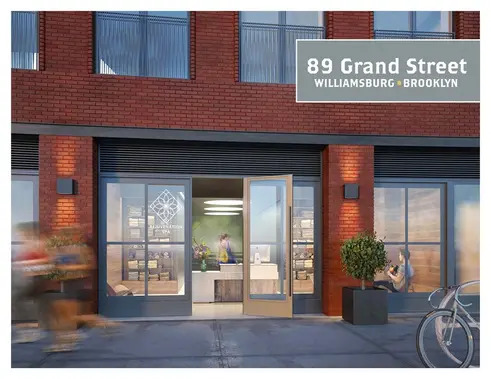 Over on Williamsburg’s Grand Street, between Wythe and Berry, a modest-scaled development designed by Morris Adjmi Architects is nearing completion. 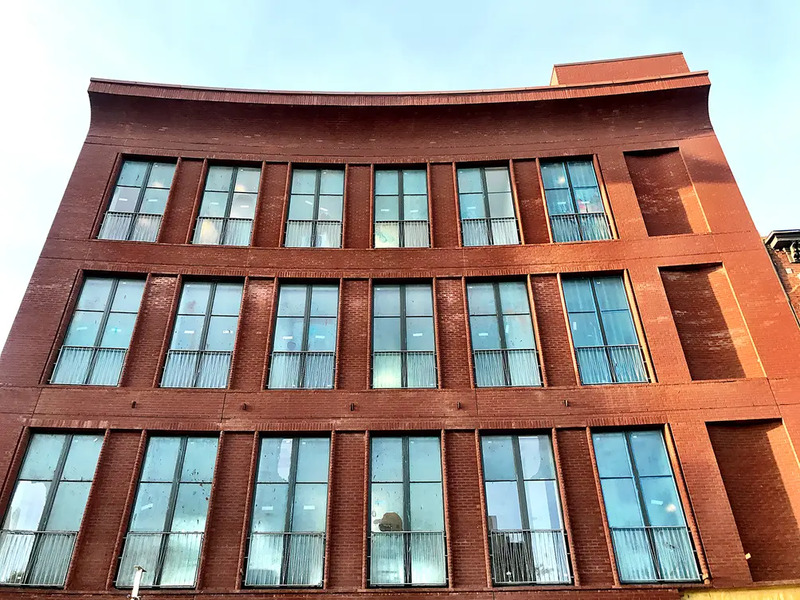 Earlier this year, via the architect’s Instagram feed, we received our first glimpse of the project's curving red-brick exterior that has been shrouded in construction netting for some time. Now, construction is just about finished and we like what we see. 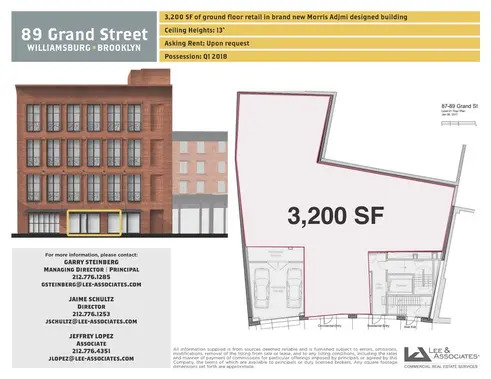 Construction permits for 87-89 Grand Street were filed back in 2014, specyfying a four-floor building with ground-floor retail, four parking spaces, a duplex apartment on the 2nd and 3rd floor, and two apartments on the 4th floor. City records show the site is owned by Philip Riese under the LLC PTSE Property Holdings and was acquired in 2012 for $4 million. Per Brownstoner, the pre-existing building at the site was designed by the prolific architect Theobald Engelhardt and served as a roller skating rink and then as the Palace Hall. At some point, the through-block site was divided, and an insensitive alteration stripped the building of its details and pediment. Leaked images of an unbuilt design from the office of Aldo Andreoli/AA Studio showed the salvaged shell of the 1885 structure with a 6-story glass and Corten steel building rising from within. 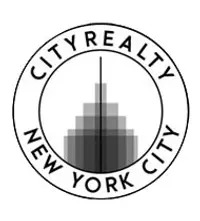 Lee & Associates is handling the leasing of the 3,200-square-foot ground floor retail space. They say delivery is expected in June 2018. 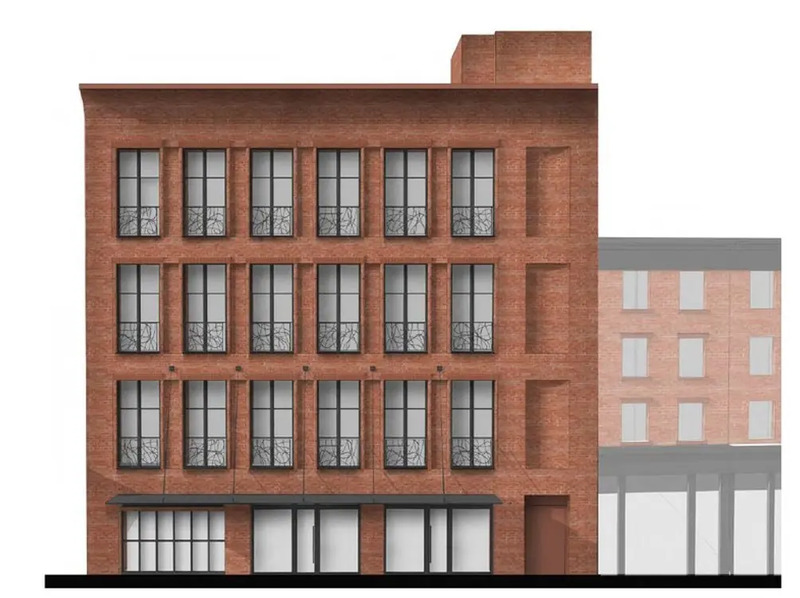 One door down from the project, a contemporary brick townhouse designed by StudiosC has just finished construction at 83 Grand Street, and at the corner is the recently-finished condo building 265 Wythe Avenue.